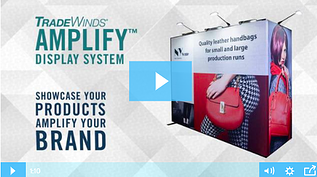 Using a little ingenuity in placing banner stands, Knoxville companies increase traffic to their trade show booths. 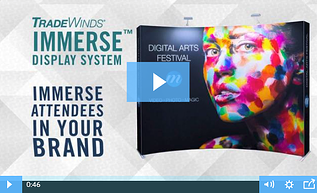 Banner stands offer the most versatility in trade show display: Use them indoors or outdoors, as stand-alone units, or grouped. You've got so many choices for using banner stands to attract interested attendees to your booth. Exhibitor Source carries several varieties of Skyline retractable banner stands, ranging from the simple, economical rectangle to an attention-getting two-layered arrangement, and a system that accommodates helpful features like literature racks or shelves. 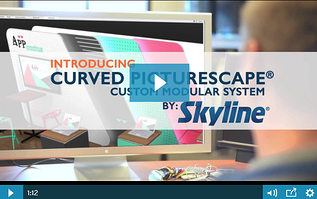 All Skyline banner stands are designed for fast, simple set-up. 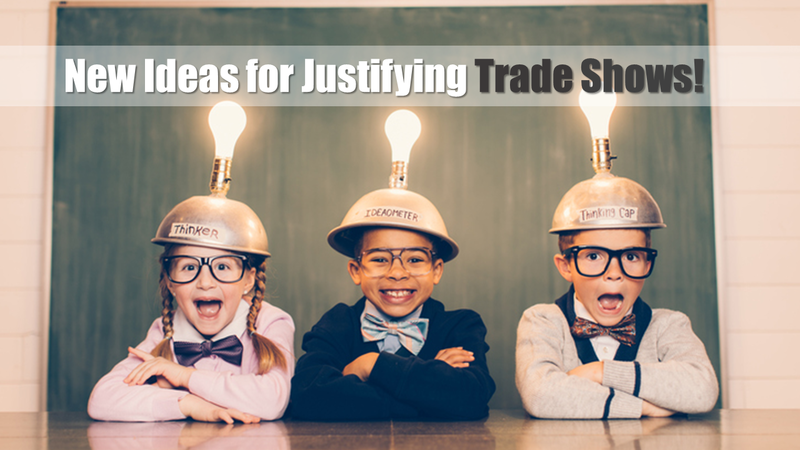 One person can easily move and unpack the stands, and set them up without tools in minutes. Skyline banner stands are lightweight and easy to pack and transport. 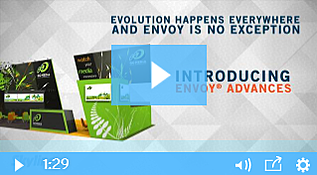 They're the perfect option when you want to spread your company's message beyond the boundaries of your booth. Find The Coffee Bar – There will be a continual stream of people seeking out the coffee bar all throughout the show. Most coffee drinkers will be there at least twice a day, and each time they'll have to wait in line to order, then wait for their coffee. That's a lot of potential exposure to your brand and your message. Food service areas can also be beneficial, though typically people will only go there once a day, if at all. Many attendees bring their own food and water. If covering all of the food and beverage areas is an option, it's worth considering. If you have to choose, the coffee bar is the better pick. Park Them On The Patio – Almost every convention center has some kind of outdoor area for people to take a break, enjoy some fresh air, return their phone calls. There's usually a designated smoking patio or area, as well. These are places you'll find people slowing down and hanging around for a little while. Placing your banner stands on the patios is a good choice not only because people will be there long enough to notice and absorb your message, but also because there are fewer things competing for their attention. They're more likely to remember things they notice in that quieter environment. Leave Them Near The Loo – Sometime during the show, people in attendance are going to have to make their way to the restroom. Most of them will do so several times. Placing your banner stand in the hallway near the restrooms means that your message will get massive, continual exposure over the course of the show. 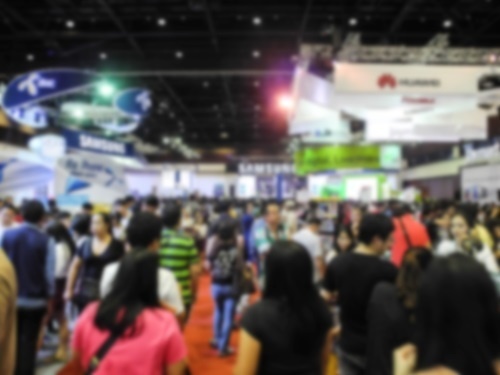 Share Your News – If you've planned well, your booth will be hosting some kind of special event during the show. Maybe it's a celebrity appearance, maybe it's a special product demo. It could be pulling the wraps off of a new product, or a giveaway. Whatever you're doing, use your banner stands to spread the word, let people know what's happening and when, and don't forget to tell them how to find your booth. 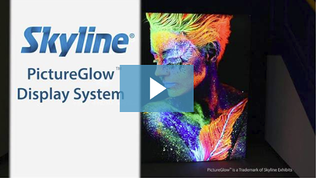 For custom graphics and trade show banner stands, Knoxville exhibitors depend on Exhibitor Source's premium quality Skyline products and services like brand management and marketing strategy training. 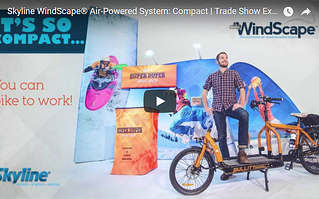 Exhibitor Source is part of Skyline Display's network of more than 150 offices worldwide, so no matter where your next show is, you'll have your tower display, island display, or banner stands. 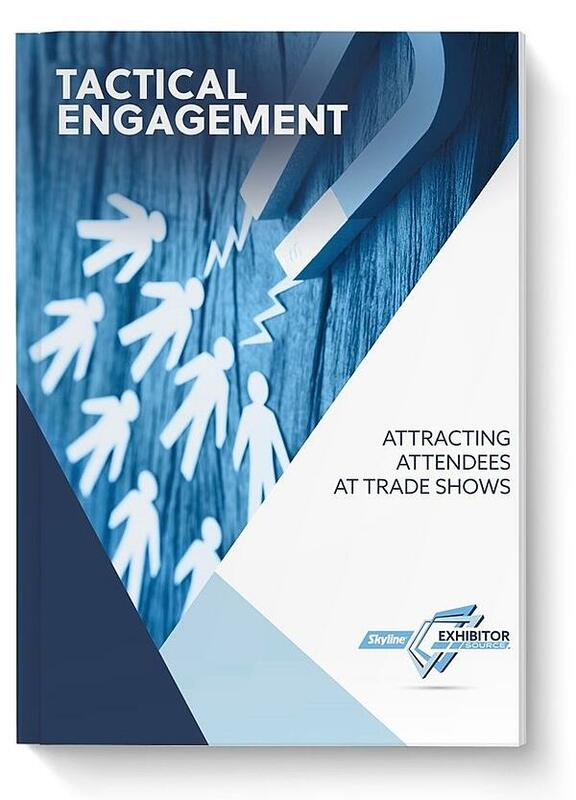 Knoxville customers, contact us online or call us at 865-673-3457 to learn how Exhibitor Source's expertise and creative flair can help improve your company's trade show marketing.